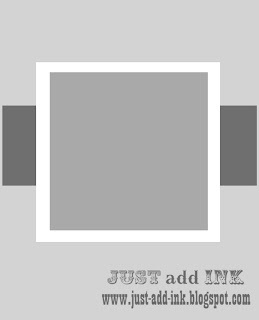 Time for a Just Add Ink Sketch Challenge! I've used the sketch to make a Christmas card for my stash. It doesn't get much easier than creating your own DSP with stamps! I like to keep my cards simple... have you noticed?? 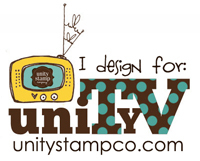 ;-) Make sure you drop past Just Add Ink to check out the gorgeous DT entries this week! I'm also entering this card into the Christmas challenge at the Scrapbook Boutique Blog. Dan I LOVE this card. It is clean, simple and gorgeous! Clean and simple style is always a favourite of mine. Lovely! Making your own DSP is a great way to have something that matches what you want for your cards and projects. 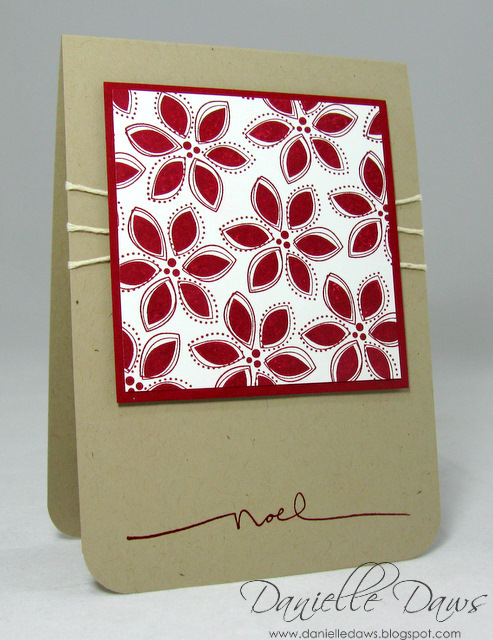 I love the crispness of the Cherry Cobbler stamped on white; this is really beautiful. If I tried to make a card like this, I'd end up with one big red, inky, smudged panel on the front, I'm sure! 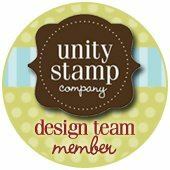 Making your own designer paper is easy but how did you get that stamp to print so PERFECTLY! Now that wouldn't have been easy. How many attempts did it take?!! Beautiful, clean, crisp and Crumb Cake all combined for a great 'recipe'. This is such a beautiful card! So elegant. You are certainly one talented card maker! Oh WOW - your DSP looks fabulous and totally Christmassy. Simple and stunning. I love this card!! The simplicity of this card turns out so well!! This is really striking Danielle - I love it! I love how you have made your own DSP. Just lovely.